There are a number of reasons to upgrade your heating system, from a decline in efficiency, to the rise of energy bills. However, regardless of your motives, heating upgrades are an investment in your home, and the safety and comfort of your family. Peninsula has been helping families across Delaware and Maryland, to make the most of their existing system, by implementing a variety of different upgrades designed to enhance performance, and reduce your energy bills. Contact us today to learn more by calling 302-629-3001. Reduced carbon footprint. Do your part for the environment, by reducing energy consumption through heating upgrades. Increased comfort. In homes where certain rooms are always too hot or too cold, or are difficult to keep warm, heating upgrades can make uncomfortable areas more livable. Cost savings. Energy efficient upgrades can save through reduced energy bills. Longer equipment lifespan. Reduce your heating load, endure less repairs, and decrease the wear and tear on heating equipment, effectively increasing equipment lifespan. Added value. Heating upgrades add value to your home, whether you intend to stay or sell, with many paying for themselves within the first year or two. Replace your thermostat. Programmable or smart thermostats, provide instant savings, regulating energy usage according to preset temperature settings. Program the unit to lower the temperature of your home between 7 and 10 degrees for times you are at work, or asleep, and enjoy savings of around 10 percent on your monthly heating bill. Boost insulation levels. Adding another layer of insulation in your attic can help reduce heat loss in the winter, and heat gain in the summer, working for your home year round. Upgrade your ductwork. Energy saving, seamless ductwork can prevent the loss of conditioned air, while increasing the airflow to all the rooms in your home. Seal air leaks. Leaks around doors and windows allow heat to escape, and cold air to enter, increasing the burden on your heating system, and energy costs. Test for leaks on a windy day, using tissue paper, and seal gaps and cracks using caulking or weatherstripping as needed. Ductless mini-splits.For additions, attic conversions, or other spaces where it’s impractical to run ductwork, ductless mini-splits are a great alternative. 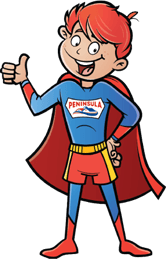 There are a number of ways to upgrade your heating system to suit every home and budget, and whichever solution you choose, Peninsula can help. To learn more about the kinds of services we offer, or to get started today, give us a call at 302-629-3001. With over 75 years of experience in the HVAC industry, and our commitment to quality control and customer service, you can trust Peninsula to get the job done on time, and on budget. 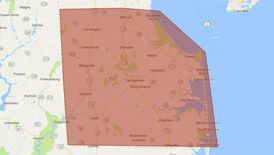 Peninsula is proud to serve homeowners throughout Delaware and Maryland, and we’ve been doing so since 1935. Contact us today to learn more about heating upgrades, to schedule an appointment, or to request a free estimate of our services.